This is marvelous! I’ve sjared it on my Twitter & FB accounts. Thank you! 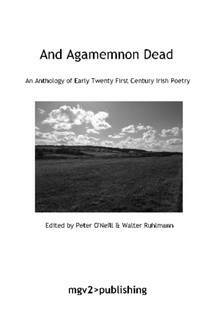 Thanks to Michael J Whelan for this post on ‘And Agamemnon Dead: An Anthology of Early Twenty First Century Irish Poetry’ eds O’Neill and Ruhlmann ! Thank you for sharing this Christine!